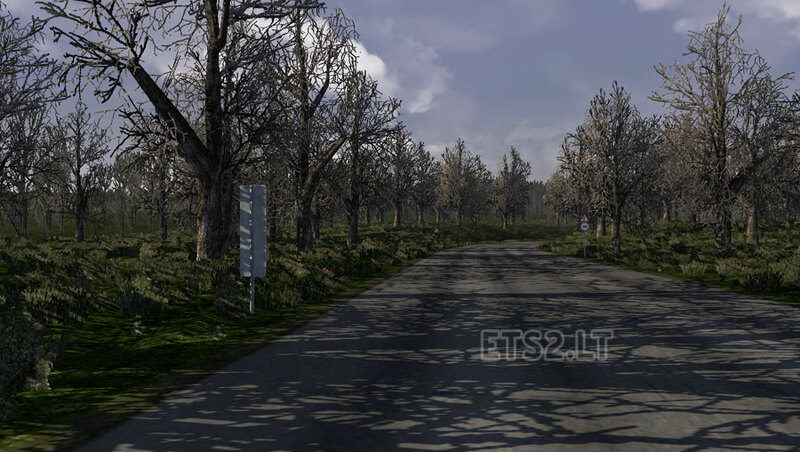 This mod simulates early spring or mid/late autumn. Please disable other weather, lighting and graphics mods. A doubt , works with Pro Mods ? ey ,what map is on the pictures? We have a nice job here! Beautiful atmosphere! Works perfect with my MAP KIT = MarioMap + RoMap + RusMap + Russian Open Spaces Map + Baltics Map. Very nice mod!Thx! Nice effects,i hope you will make one for summer,when it’s time!Works perfect for TSM too! Awesome mod as always. Thanks!